Why would anyone want to spend an additional $31 million in purchase price for a brand alone? It's not just your average person who pays more for a brand. It's top-level executives too. A 2012 McKinsey survey of more than 700 executives with substantial influence on supplier selection in the United States, Germany, and India found that consideration of the brand was a central decision when deciding whether or not to purchase. The survey found that the brand was almost as important as the sales team in encouraging them to purchase. What can we learn from this? 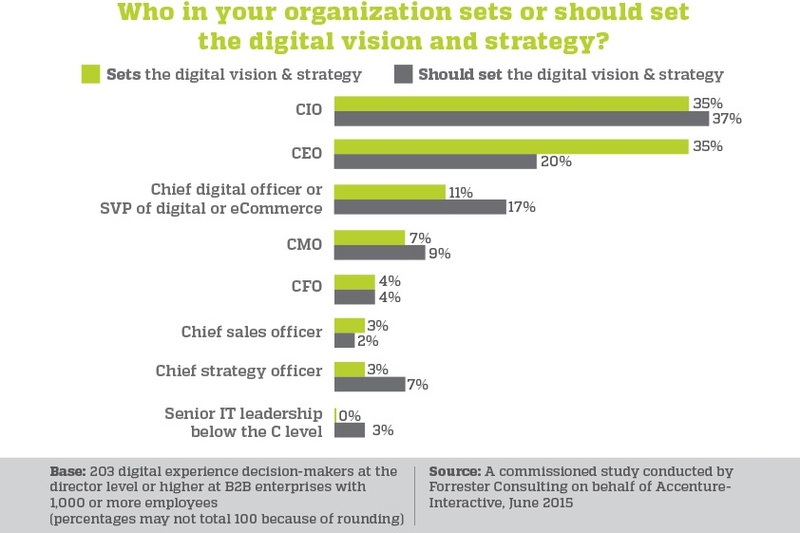 Well, for one, that B2B purchasers are human beings at the end of day. They are a lot less value-driven than they like to think, and heavily swayed by the brand, which helps them simplify evaluating the product. 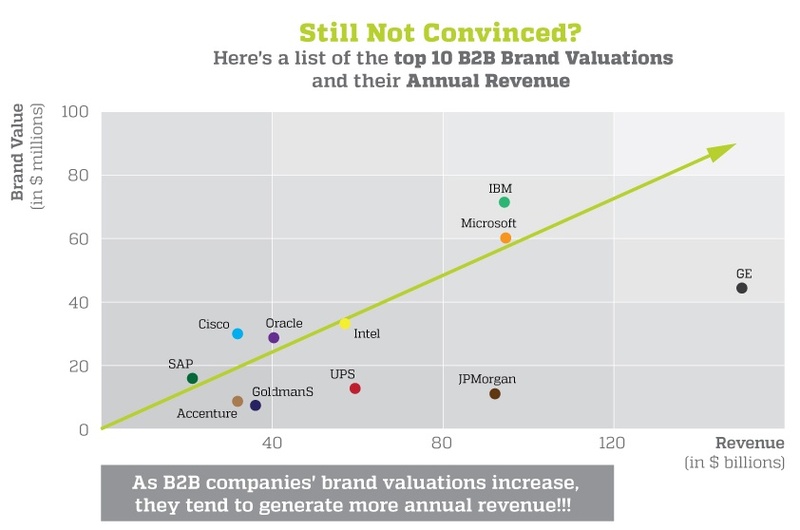 Despite the enormous added-value of a strong brand in a purchasing price, one of the most difficult parts of B2B branding is selling the brand to sales. Many B2B brands fail because they haven't been properly integrated into – and accepted by – the sales force. 1. Are You Telling the Right Brand Story? It can be helpful to first take a step back and reevaluate if your internal B2B brand story is the same of that of your customers. 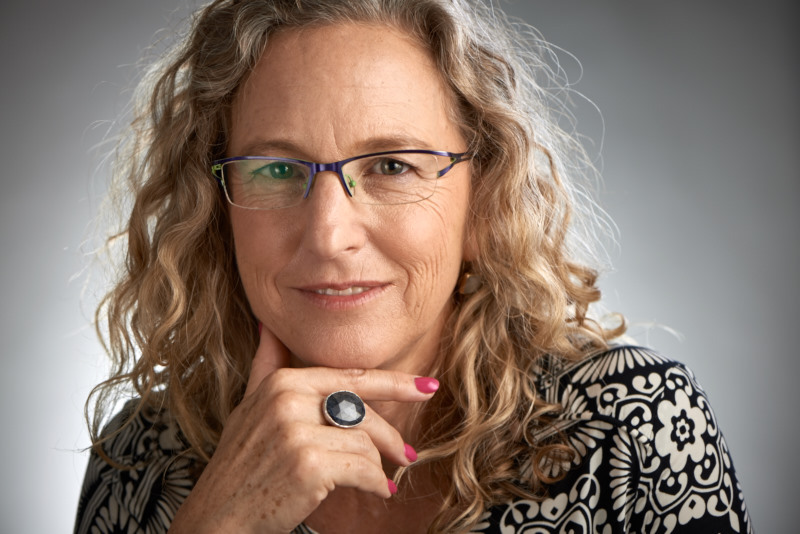 The same McKinsey study from above found that often the two audiences focused on completely different things --- B2B suppliers focused on sustainability, global reach, and corporate responsibility whereas customers focused on honesty, responsibility across the supply chain, and level of specialized expertise. 2. Do Your Salespeople Understand What a Brand is? Your salespeople need to understand that a brand is what happens before you enter a room and after you leave. It also provides a framework for communicating the values behind your company's product or service. 3. Do Your Salespeople Understand How A Brand Can Help Them? This is where "branding in" can be vital. 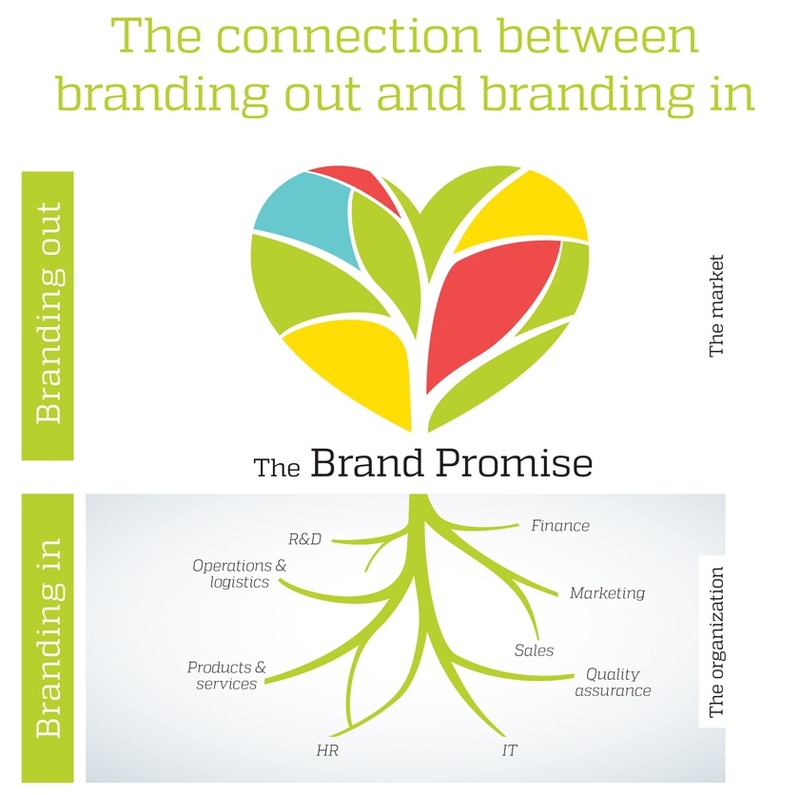 "Branding in" connects the entire company to the brand promise and implements it in their day-to-day responsibilities. For starters, you'll need to make sure marketing and sales are communicating in the same language. Consider a sales and marketing workshop, where salespeople explore the meaning behind the new brand and how it can help them be more successful. One practical exercise during the workshop might be to develop a pitch book – a sales tool that should communicate what the company does, why it does it, and why it is better than the competition. This time, however, you'll want to develop it through the perspective of a salesperson who understands the value, messages, and how to communicate the company's brand. Align your sales and marketing together in building your brand by answering these questions as a company. 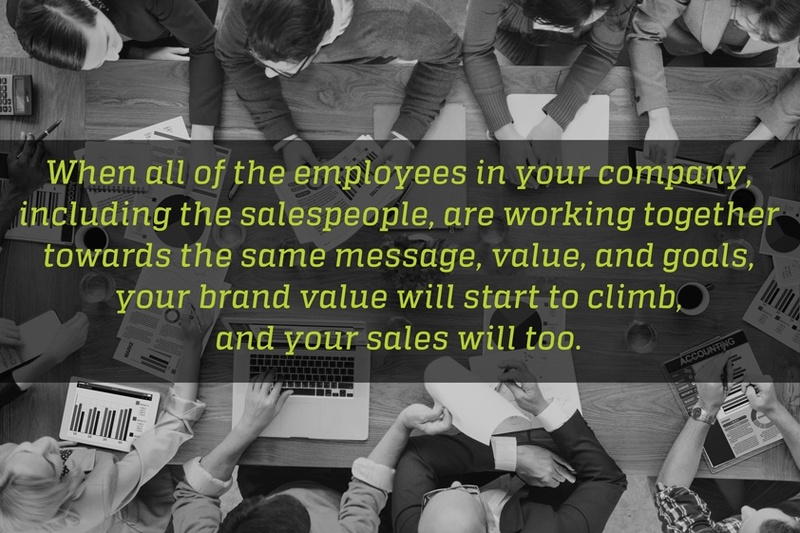 Bring in experts to help you if possible (we know of a good one offhand) When all of the employees in your company, including the salespeople, are working together towards the same message, value, and goals, your brand value will start to climb, and your sales will too.